Showing recent results 526 - 540 of 4363 products found. Measures alpha, beta, gamma, and x-rays. 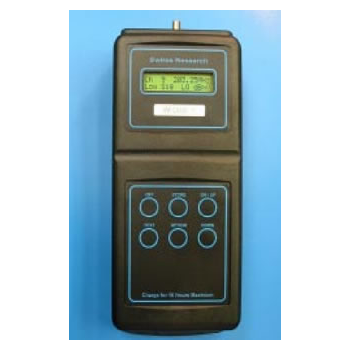 Its digital display shows readings in your choice of counts per minute (CPM), CPS, Sv/hr, or mR/hr, or in accumulated counts. Now with the USB and the Observer USB Software, you can download your accumulated data form the Digilert200's internal memory, set computer alarms, and calibrate your instrument. 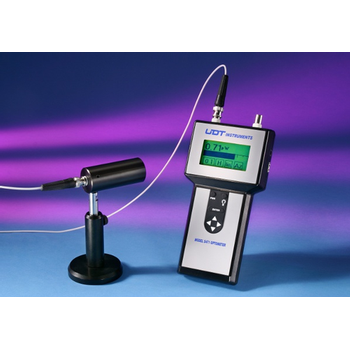 This stand-alone device has a wide measuring range for determining lambda, A/F ratio, and oxygen content. The sensor's short heating time results in fast measuring response. The measuring system reacts quickly to exhaust gas modifications. 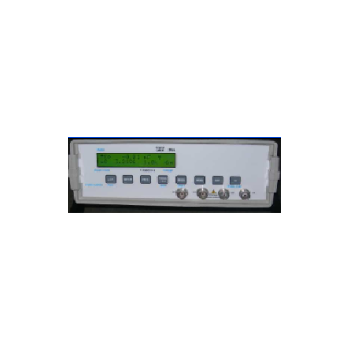 The device offers analog output of the physical value (parameter setting), as well as a download of characteristic curves for specific fuels. 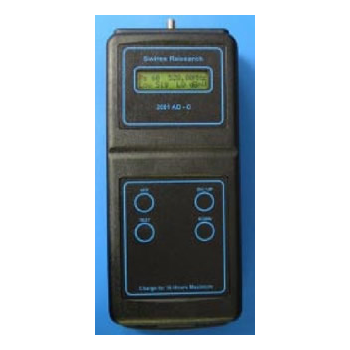 Measures capacitance from tenths of a pF to .1 uFMeasures inductance from less than 1 uH to more than 10 mH.Uses small 8 x 2 LCD displaymini gold plated banana jacks 9 volt batter operationMeasures 5.5 x 2.5 x 1.5 inches. SS100 / SS101 / Ss102 - Sanshine Electronis Co., Ltd. Basic passive component testing equipment, can be used in quality management department or production process for quality inspection. Like as: transformer, inductor, resistor, capacitor, relay, motor, generator, electric valve, contactor, cable, wire, etc. Testing frequency: 100Hz, 120Hz, 1KHz. The LCR_Meter mini-app macro included with Daqarta allows measurement of inductance (L), capacitance (C), and resistance (R), including Equivalent Series Resistance (ESR) of capacitors. 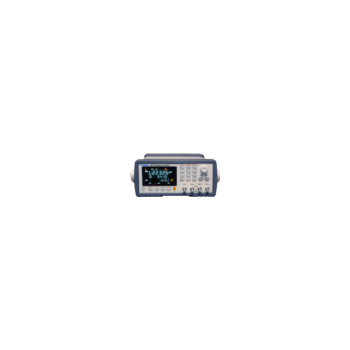 Optionally, it can also show capacitor Dissipation Factor DF or inductor Q.
KH100 Series is also available in kit form. 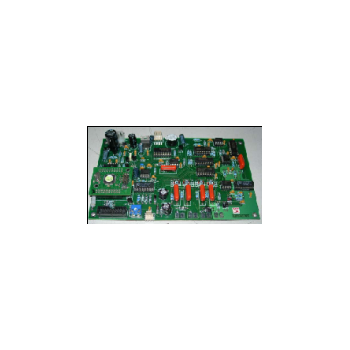 Kit includes complete assembled motherboard with or without LCD Display and Keyboard. 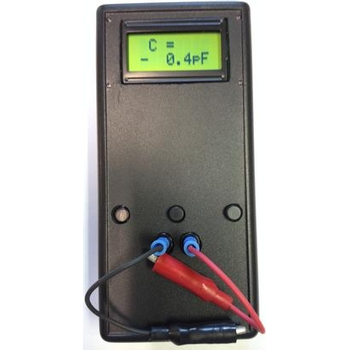 LCD Display can be of bigger size to suite to main Enclosure. Keyboard being a simple layout can be changed to suite the Enclosure. 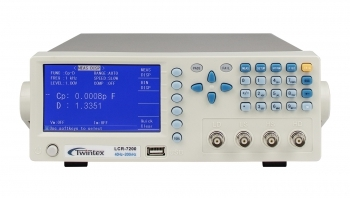 Is a type of electronic test equipment used to measure the inductance (L), capacitance (C), and resistance (R) of an electronic component. 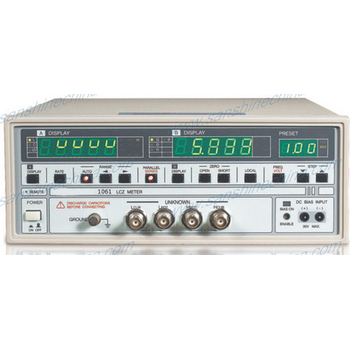 In the simpler versions of this instrument the impedance was measured internally and converted for display to the corresponding capacitance or inductance value. 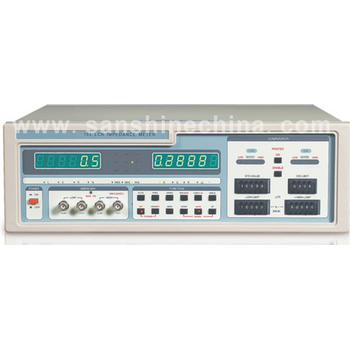 SS1061 / SS1062 / SS1063 - Sanshine Electronis Co., Ltd.
Test system for passive components designed for the use in electronic inspection or production process for quality control. Like as: transformer, inductor, resistor, capacitor, relay, motor, generator, electric valve, contactor, cable, wire, etc. 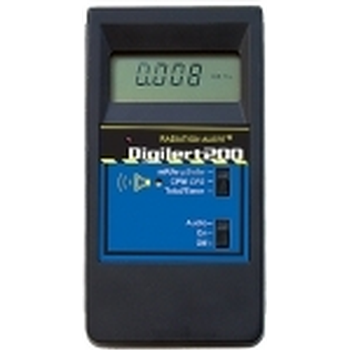 Test frequency: 40Hz-200kHz. 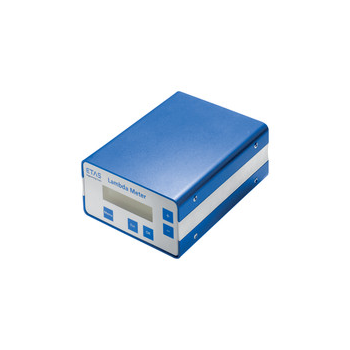 Is an intelligent measurement instrument with easy operation, low price, high measurement speed. Can be used for incoming inspection and fast sorting on inductance production line. 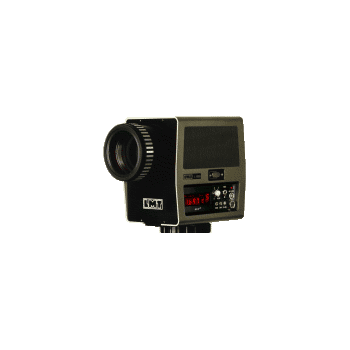 This Telephotometer bundle combines a photopic sensor with a reflex viewing system and a standard camera lens to provide non-contact measurement of a precisely-defined spot on the display surface. 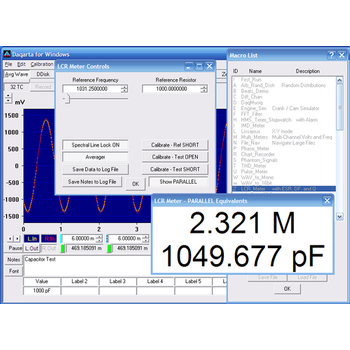 The user can view an image of the measurement spot superimposed on the display. Spot size is determined by working distance (adjusted by the lens-focusing mechanism) and the field of view (FOV). Angular fields 3°, 1°, 20', 6' selectable. Photometer head with Si-photoelement, fine V(lamda)-approximation. Measuring distance approx. 0.50 m to infinity.